Held on Feb. 22, the event was the 85th annual Saviours’ Day 2015 convention hosted by the Nation of Islam. 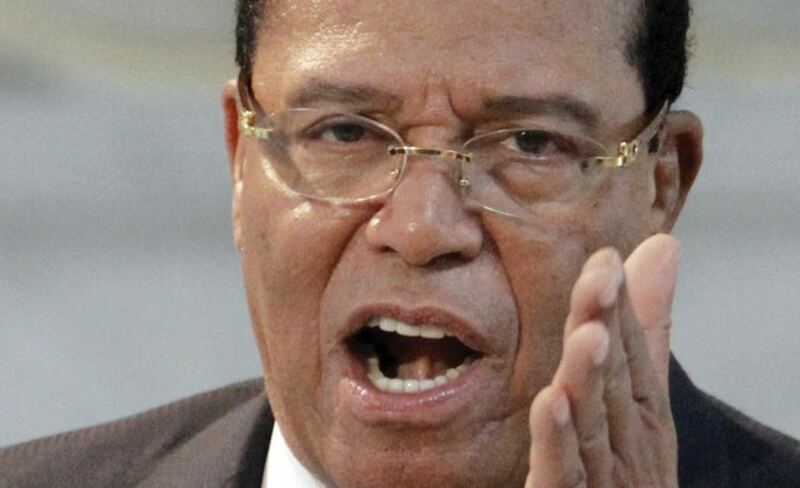 The Honorable Minister Louis Farrakhan delivered a bold message that ridiculed reparations efforts and blasted former New York Mayor Rudy Giuliani regarding his recent insults of President Obama. Presented live via a webcast from Christ Universal Temple in Chicago, Farrakhan did not mince words when addressing Giuliani’s criticism of the president. The event, for some, is timely after the nationwide protests following the police killings of black men in Ferguson, Missouri and Staten Island, New York; as well as the recent decision by the Department of Justice not to file civil rights charges against George Zimmerman, who was acquitted of killing 17 year-old Trayvon Martin in 2012. Ayinde Madzimoyo, a public school teacher from Atlanta said the protests represent black people waking up. “I believe that large numbers of black people and others are becoming aware of systemic inequity and state sanctioned disregard and even, enmity for black lives. I believe that this groundswell of awareness and resulting activism follows in a long and cyclic tradition of black people’s resistance to oppression,” he said. He said the spiritual and emotional wounds that black people suffer from are deeply rooted in oppression. While today’s protests borrow from the past efforts of the Civil Rights Movement, the strategies must differ, according to Muhammad. “In the 60s, black people in particular knew their open enemy. Today, it’s more complex because many black people, especially our black youths are ignorant of our plight of black slavery, suffering and injustice,” he explained. Nevertheless, he said that today’s protesting youth appear willing to take on the system. “There is a disconnection. Today, it’s the fearless youths who are protesting, and they care less for the elders of the children of Israel who have a passive, fearful attitude towards this modern Pharaoh (government),”he added. Ultimately, he shared, God will have the final say.